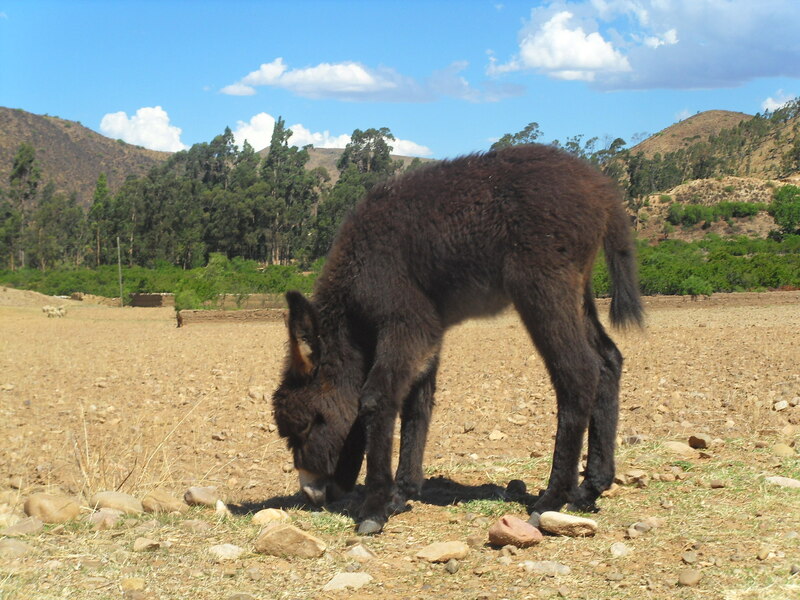 As is so often the way in Boliva, my plans were scarpered by a feriado (public holiday). I would not be going out to Morado K’asa to deliver the second clase de ingles after all. Instead, making the most of my unexpectedly lengthened weekend, I made the trip out to Uyuni for the tour of the salt lakes. Returning at 4am on the Sunday morning, I only had a few hours in Sucre before turning around and leaving again. 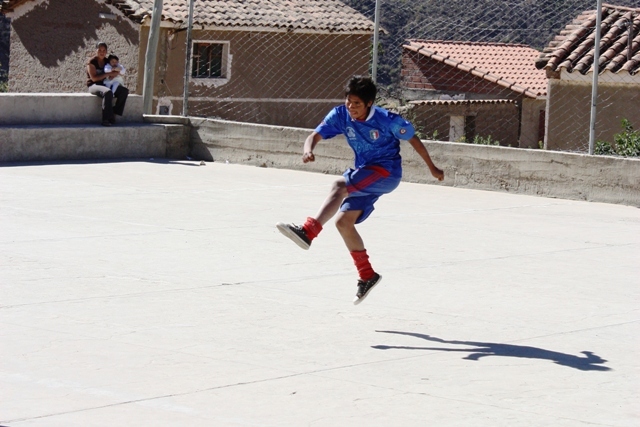 At 10:30am the same day, I took the micro to Morado K’asa for the annual football tournament that takes place there, organized by JUSIBA, the youth group who initially requested a library in the village. BiblioWorks had agreed to donate some prizes, so I was going out there to deliver them, and had rescheduled the English class for the Monday. My name is Karen MacMeekin and I am a librarian from Boulder, Colorado in the United States. 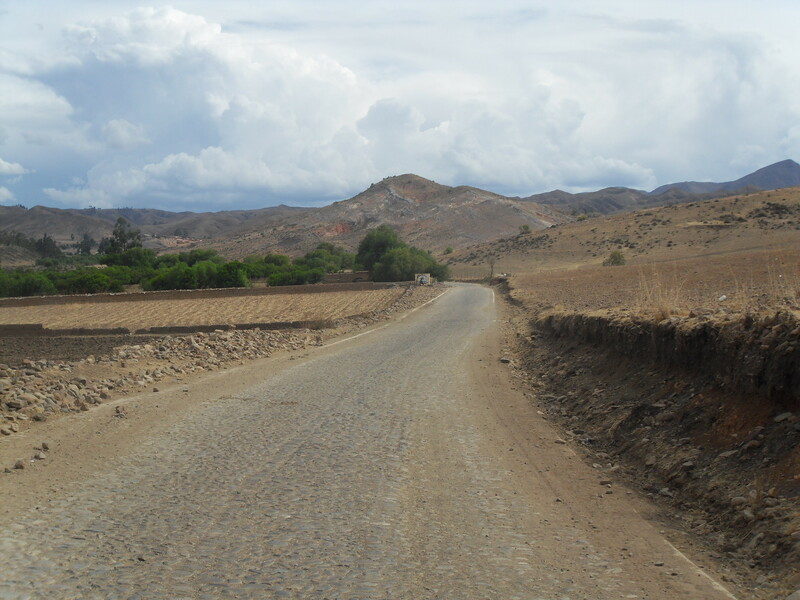 My husband and I have been traveling throughout South America for 8 months and, about 3 weeks ago, we returned to Bolivia to volunteer for 6 months. On Wednesday, May 30, 2012, I spent my first day of volunteering at Biblioworks. 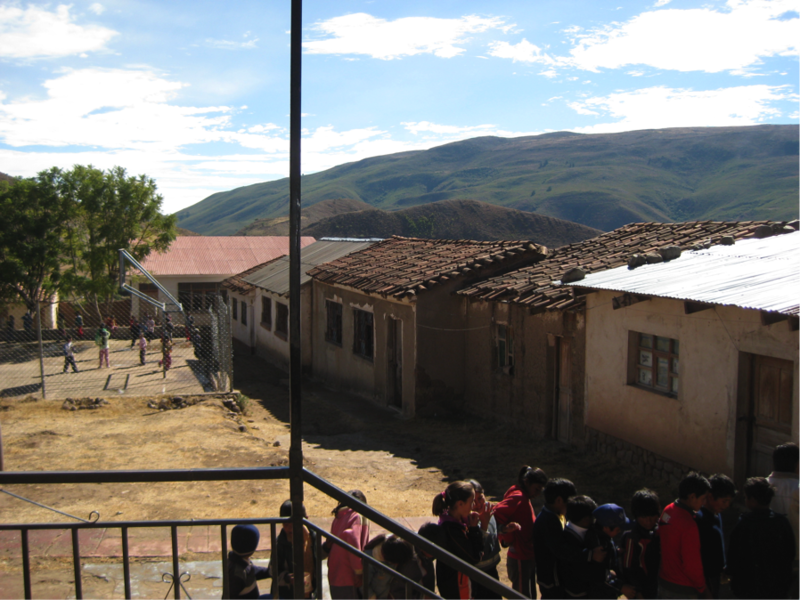 Biblioworks is a not-for-profit organization that has built and equipped 10 libraries since 2005 in the rural villages around Sucre, Bolivia. 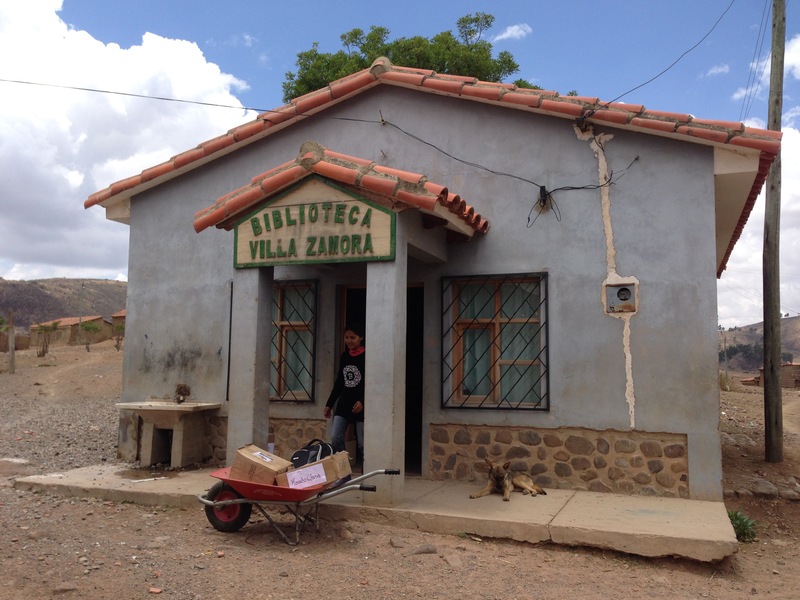 It’s a wonderful organization that truly believes “literacy and education are critical components for the creation and vitality of sustainable communities and cultures.” The first part of my volunteering service will be to visit all of the libraries that BW has created – my first: La Biblioteca “Virgen de Guadalupe” in Yamparáez. 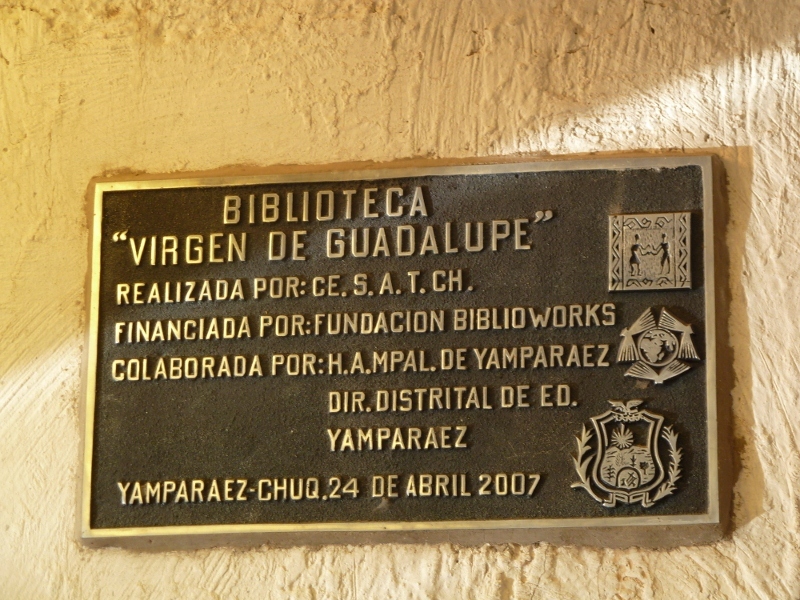 On April 19th, 2006, exactly one year to the date of the original library inauguration, the Biblioteca “Villa Zamora” received an additional donation on the part of the Mayor’s office and BiblioWorks. 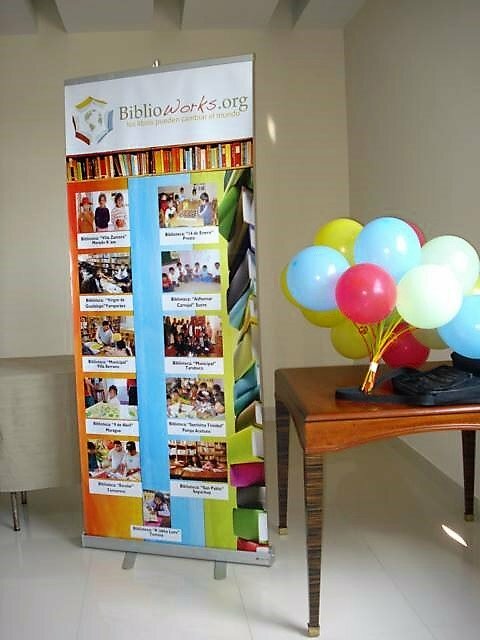 200 more books and two computers were donated by BiblioWorks to the library – part of the materials that were received through the shipment of a 20-foot container from North Carolina to Sucre. The computers were set-up on two computer desks donated by the local municipality and mayor’s office. On December 11th, 2005, Silvia Eguino, representative of the Department of Cultural Affairs for the US Embassy in La Paz, donated some 300 books to the Morado K’asa community library.